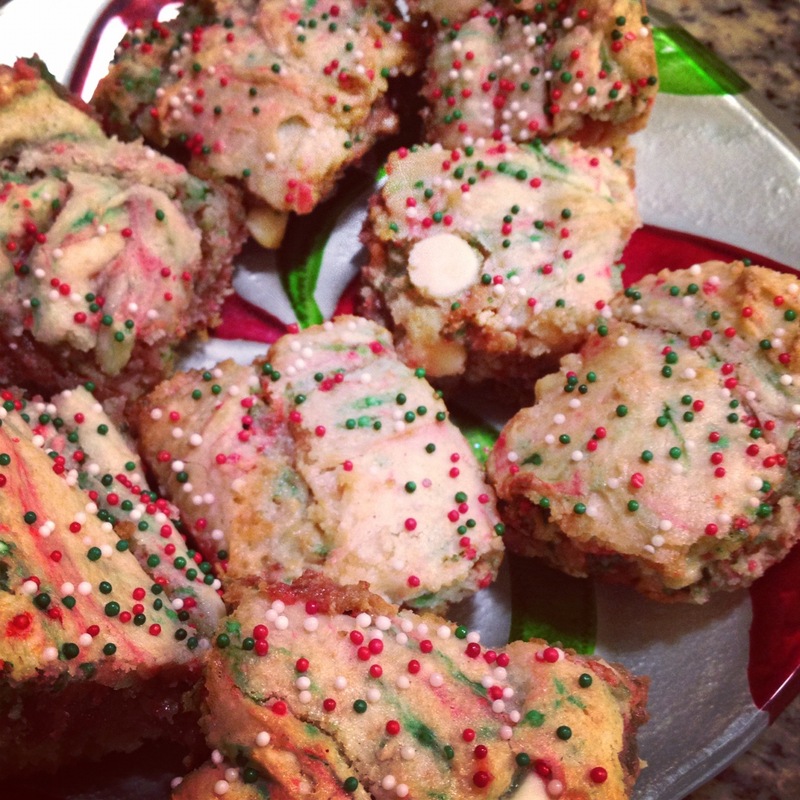 christmas funfetti cake batter blondies. 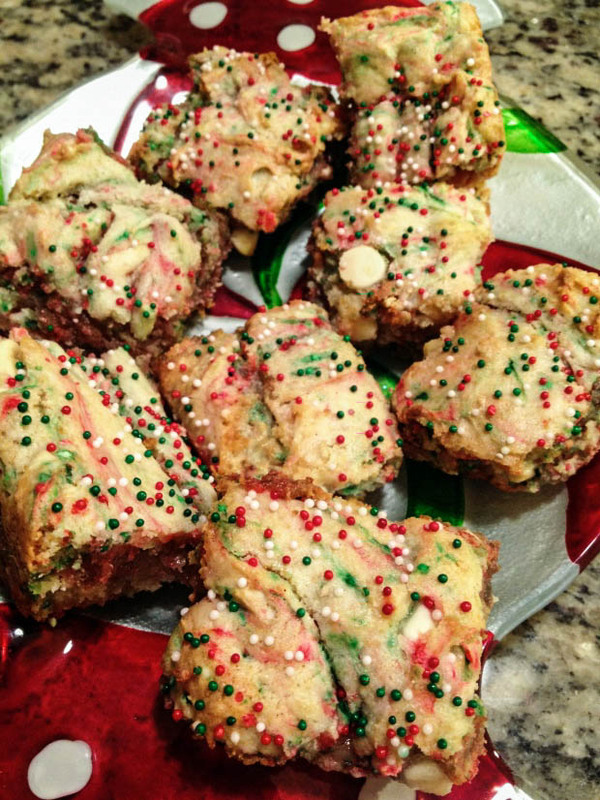 I kept them in the oven for a few minutes longer than what the original recipe calls for, so they were less gooey but still very dense and delicious! 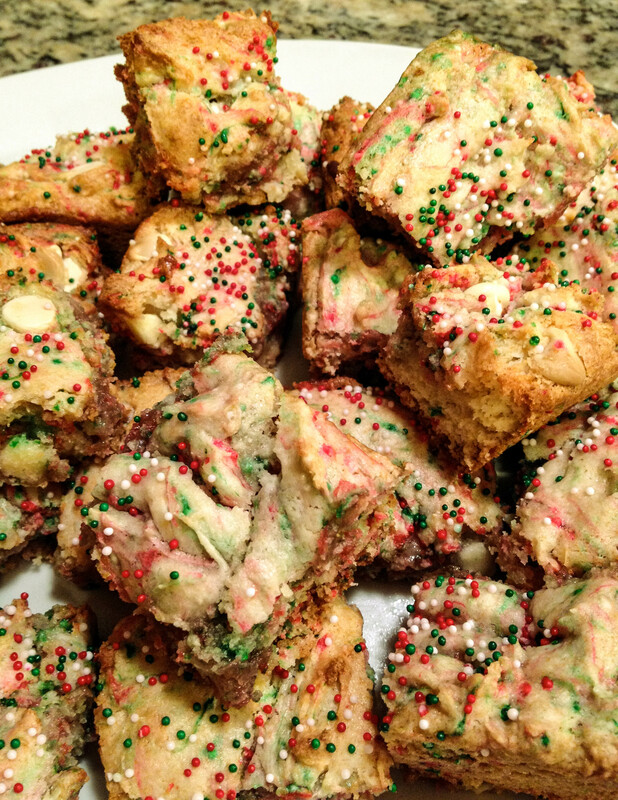 Notes: the blondies will look like they are not fully done because the center will be quite gooey, but that’s what you want! After about 30 minutes of cooling, they will be easy to cut using a serrated knife.